This cozy turtleneck sweater, featured in the Cruise 2019 presentation, brings warmth and elegance to any winter look. 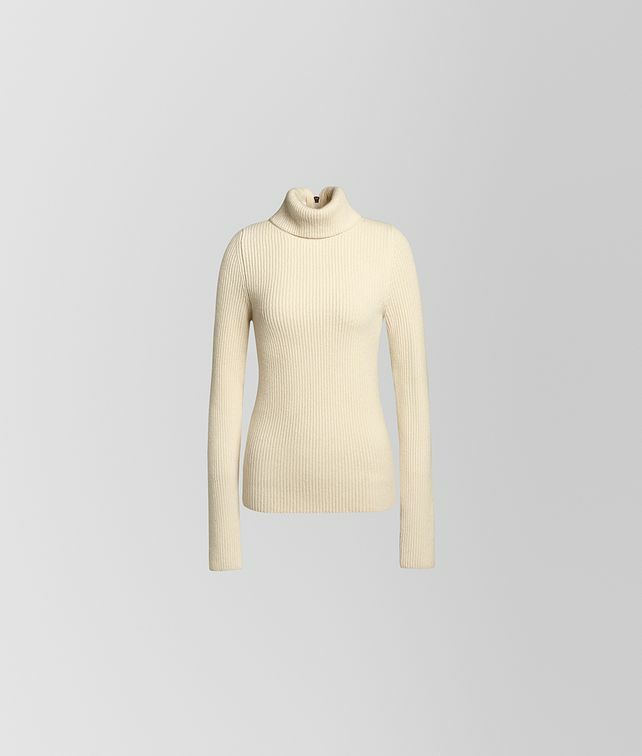 The sweater is made from boiled cashmere and has a zipper at the back of the full neck, allowing it to be styled in different ways. Finished with an intrecciato leather zipper pull.